Sometimes it may seem that we Episcopalians go out of our way to use strange words to confuse outsiders. We hope that is not the case. Sometimes we use those words to honor our tradition. Sometimes we need special words to label things or practices that are different enough to need a special word to describe them. Here are some definitions of words used in this site or in our worship that may be new to you. (Bolded words are found elsewhere in the glossary). The first season of the Church Year, Advent begins the fourth Sunday before Christmas and ends on Christmas day. It is a season of expectancy and preparation for the coming of God to earth in the person of Jesus. The usual liturgical color for advent is Advent is purple, the color of preparation and penitence, although blue is sometimes used. A full-length white ecclesiastical vestment with long sleeves gathered at the waist with a cord or sash. Basically means “of or related to England.” It refers to churches with roots in the Church of England, including the Episcopal Church. Anglican churches identify as both catholic and protestant (reformed). 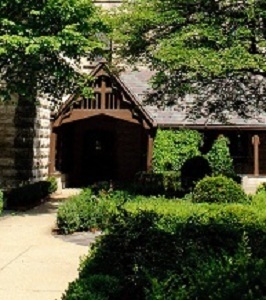 For more information about the Episcopal Church, click here or here. This term refers to the worldwide association of autonomous national churches in communion with the Church of England—including the Episcopal Church of the USA. The head of the English church, the Archbishop of Canterbury, is also the symbolic head of the Anglican Communion. 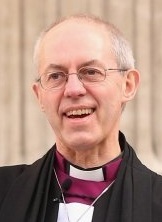 The current Archbishop of Canterbury is the Most Reverend and Right Honorable Justin Welby. 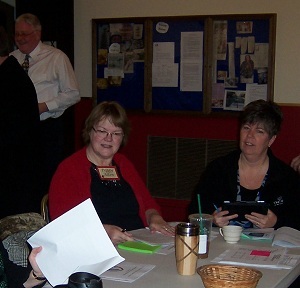 St. Stephen’s congregation meets annually at the end of January go over reports from the past year, look ahead to the next year, and elect three of our nine vestry members. The Book of Common Prayer says, “Holy Baptism is full initiation by water and the Holy Spirit into Christ’s Body, the Church.” It is the sacrament by which we become part of Christ’s body, the church. Baptism is considered an act of God in the Episcopal Church and as such may be conferred on infants. A person does not need to be baptized more than once. A person’s baptism is recognized in the Episcopal Church as long as it was recorded in the rolls of any Christian denomination. However, a person who was baptized as an infant or child or in another Christian denomination will typically go through Confirmation or Reception to become “official” Episcopalians. A bishop is a priest responsible for a diocese. A bishop is consecrated by other bishops and as such is a successor to the twelve apostles. In TEC, bishops may be male or female and may be married. 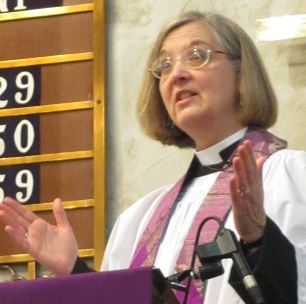 Our bishop (of the Episcopal Diocese of Indianapolis) is the Right Reverend Catherine (Cate) Maples Waynick. 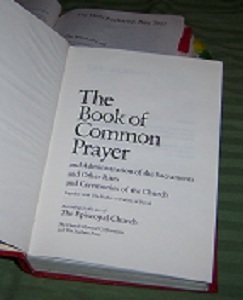 The Book of Common Prayer contains the official liturgy of the Episcopal Church. It is a collection of prayers, readings, psalms, devotions, and worship services. Nearly all services in any Episcopal Church will be printed in this book. The word common is used in the sense of being held in common, the property of all. A set of rules that govern a church (as in canon law). You can download the canons of the Episcopal Diocese of Indianapolis here and the canons of the Episcopal Church here. St. Stephens is governed by these canons plus our own bylaws. The word canon has other church meanings as well. It can refer to the official list of the books of the Bible (the scriptural canon—Genesis, Exodus, Leviticus, etc.). It can also refer to a priest who reports to the dean of a cathedral..
A song or chant taken from biblical texts other than the psalter. Canticles are used extensively in Morning Prayer (BCB pages 37–102) and Evening Prayer (pages 108–126). A summary of religious doctrine, often in the form of questions and answers, used primarily as a teaching tool. Found in the BCP on pages 844–862. An ankle-length robe worn by clergy and laity assisting in services, usually covered by a surplice or cotta. A tool for teaching the foundational truths of the Christian faith. Offered in a question-and-answer format, the Catechism or “Outline of Faith” can be found on pages 844–862 of the BCP. The home church of the bishop of a diocese. A cathedral is headed by a priest who is referred to as the dean. In every cathedral you will find a seat (throne) for the diocesan bishop called a cathedra, from which the word cathedral derives. Christ Church Cathedral in Indianapolis is the cathedral in our diocese. From the Greek word meaning “universal” or “found everywhere.” Although the term is often used to refer to the Roman Catholic Church, it also includes Anglican, Syrian, Greek, Coptic, Russian and other churches, including the Episcopal Church. Catholic churches generally accept the teachings of tradition as well as scripture and usually accept the validity of one or more ancient creeds as the summary of the Christian faith. Episcopalians identify ourselves as both catholic andprotestant (reformed). The poncho-like outer garment worn by clergy to celebrate the Eucharist. It usually matches the altar hangings, and its color reflects the season of the church year. Often used as another term for Christian education, this is actually a broader term referring to the entire process by which people grow as Christians—not only through education, but also through other experiences. For Episcopalians, the celebration of Jesus’ birth starts on December 25 and continues for twelve days until Epiphany on January 6. (These are the original “Twelve Days of Christmas.”) For most of the month of December we observe the “waiting” season of Advent. Not until December 25 or shortly before do we put up Christmas decorations and begin singing Christmas songs. The liturgical color for Christmas is white, the color of celebration. The Church is described as a body of people of which Jesus Christ is the head. All baptized people everywhere are part of the church, regardless of which branch or denomination they may be affiliated with. 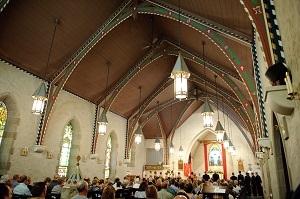 “Church” may also refer to a building that a congregation uses for worship. Some companies have fiscal years that are not the same as the calendar year. Similarly, the church has its own church year with its own seasons. In the Episcopal Church (and many other denominations), the church year starts on the fourth Sunday before Christmas. The seasons of the church year are Advent, Christmas, Epiphany, Lent, Easter, and Pentecost. Liturgical colors are used to help communicate the theme of worship of each season of the church year. A covered passage on the side of an open area, usually with one side walled and the other featuring a colonnade. At St. Stephen’s there is a cloister on the east end of the garden. The door on the north end of the cloister is sometimes called the cloister door. Enter it and turn right to go into the cloister room. A short, structured prayer designed to gather (or “collect”) the thoughts of the people into communal prayer. Collects (pronounced CALL-ects) are said at the beginning of the Eucharistic service and in other circumstances. They generally focus on a specific subject and change according to season and occasion. Traditional and contemporary collects for many circumstances can be found on pages 158–427 of the BCP. Holy Communion, also called the Eucharist or the Lord’s Supper, is our principle act of worship, through which we celebrate Jesus’ victory over death. Christ invites the gathered community to become one with him and with God, secure in God’s love. Our response is to leave our seats and come forward to the altar in thanksgiving to partake of Christ’s body and blood as symbolized in bread and wine. Sometimes called “Night Prayer,” Compline (KAHM-plin) is a worship service that dates back to medieval monastic life—the last service of day in the ancient Christian tradition of canonical hours. Its name derives from the word meaning ”completion.” It is typically a short, quiet service of psalms and prayers. An order for Compline is found on pages 127–135 in the BCP. A rite whereby the grace of the Holy Spirit is conveyed in a new or fuller way to those who have already received it in some fashion through Baptism. In the Episcopal Church, young people or adults who have decided for themselves that they wish to be confirmed and who have been prepared (typically through a confirmation or enquirer’s class) are confirmed by a Bishop. Confirmation marks one’s formal entrance into membership in the Anglican Communion. Confirmation and Reception are often done as part of the same ceremony. The group of people of a certain area who are organized into a local church. 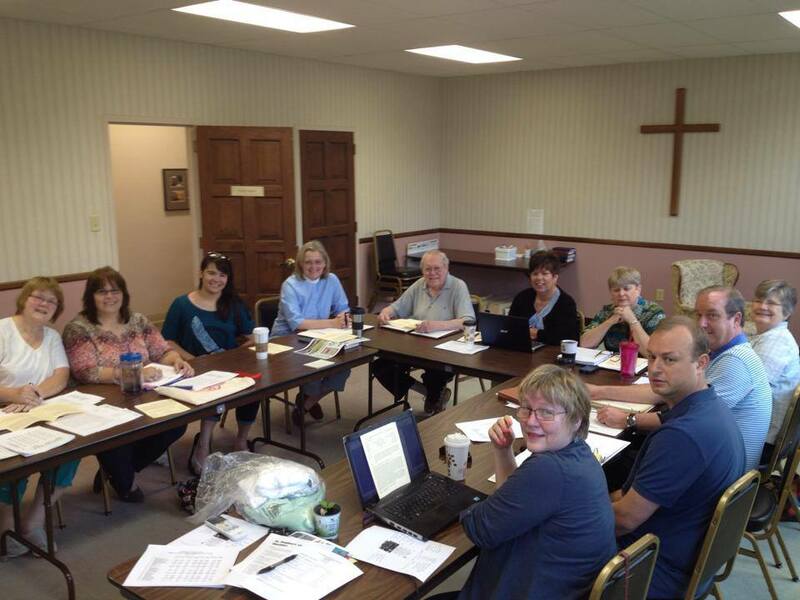 An Episcopal congregation may be a parish or a mission. A parish is fully self-supporting; a mission gets support from its diocese. An outer vestment open in front and fastened by a band or clasp, often worn by bishops along with a miter. This word means “cross-shaped” and refers to the general shape of the worship area in many traditional churches like St. Stephen’s. The altar area faces east and is the head of the cross. The center aisle marks the length of the cross, and the two arms, known as transepts, face east and west. The place where the aisle and transepts meet is called the crossing. The word deacon is very close to the Greek word for “servant.” Deacons are ordained to a servant ministry to those in need under the direction of the bishop. Our deacon, the Rev. Deborah (Deby) Veach, is a “perpetual deacon,” one who has made a lifetime commitment to this servant ministry. 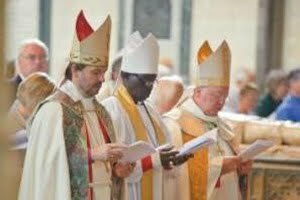 Those who intend to become priests are also ordained deacons for a short time. They are “transitional” or “temporary” deacons. In TEC churches, deacons may be male or female and may marry. Click here for more about the history of deacons and the role of deacons in an Episcopal church. The diocese is the fundamental structural unit of Anglican churches around the world. Every diocese has a bishop. A diocese contains many churches, and normally dioceses are combined into national churches such as the Episcopal Church or the Church of England. 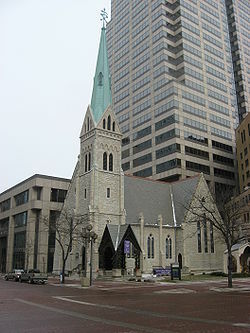 St. Stephen’s is part of the Episcopal Diocese of Indianapolis. Easter is the day we celebrate Jesus being resurrected from the dead. It is also a season of celebration lasting for the fifty days after Easter Day to Pentecost. Our liturgy is especially celebrative and extraverted during this season. Prayers of confession are often omitted and “alleluias” are inserted in several places in the service. The first celebration of Easter is the Great Vigil of Easter on Easter Eve. The liturgical color of Easter is white, the color of celebration. Epiphany (January 6) is the twelfth day of the Christmas season, when we celebrate the arrival of the Wise Men to see Jesus. Epiphany is also a season of the church year running from the day of Epiphany to Lent. This season celebrates the life and ministry of Christ. The liturgical color for Epiphany is green, the color of growth. The word means “having bishops.” After the American Revolution, when the former Church of England in the colonies was being organized into an independent church, a name that did not mention England or Anglican was needed. Episcopal was chosen to differentiate our church from the other protestant churches that did not have bishops. This word, which means “thanksgiving” in Greek, is a term we often use for the sacrament of Holy Communion, also referred to as the Lord’s Supper. It is “the sacrament commanded by Christ for the continual remembrance of his life, death, and resurrection, until his coming again.” The word Eucharist can apply either to the specific part of the service when we come for communion or to a service where communion is served. A worship service done in the late afternoon or evening. It consists of Bible readings, psalms, canticles, and prayers, including suffrages. To see, listen to, or read along with complete Evening Prayer services for any day of the year, click here. Choose one of the calendars shown and click on the little moon icon for the day. Evensong or Choral Evensong is Evening Prayer set to music, typically done in Anglican churches on Sunday evenings. This term refers to the week before Easter Sunday. It starts with Palm Sunday, when both Jesus’ triumphant entry into Jerusalem and his capture and death are remembered. On Maundy Thursday, Jesus’ Last Supper with his disciples is reenacted, sometimes with foot washing. At the end of the Maundy Thursday service the altar is completely stripped and all decorations are veiled or removed from the church to represent the arrest of Jesus and the beginning of his trial. Solemn Good Friday services recall Jesus’ execution on a cross and his burial. The laity are all members of the church who are not clergy—that is, not bishops, priests, or deacons. The Episcopal church sees the relationship between clergy and laity as being one of a partnership of people with different roles to play, in which all are needed to be a complete Christian community. A person (usually a lay person) who reads scriptures or prayers out loud during the sermon. Essentially a Bible reading plan that specifies Scripture readings to be used for study, in worship, and as the basis for preaching throughout the church year. The idea is to cover much as much of the Bible as possible over the period the lectionary covers. Lessons are chosen to support the seasons of the church year. We use the three-year Revised Common Lectionary for Sundays and holy days and a two-year Daily Office for Morning Prayer and Evening Prayer and private study. The season of Lent follows the Epiphany season and covers the forty days (not counting Sundays) leading up to Easter Sunday. This is a time of penitence and preparation during which many people seek to deepen their spirituality by taking on specific disciplines such as added prayer, “giving up” chocolate, etc. Our liturgy is more introspective and less celebrative during Lent. 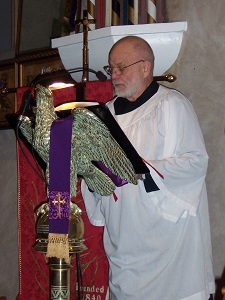 The liturgical color is purple. From a Greek word meaning “a work of or for the people.” Nowadays, this term is usually applied to the public celebrations of the church. The word is generally used to refer to the full text of the words of a worship service or the ritual order for holding a church service. Our liturgy reflects the forms of Christian worship which developed in the Western Church during its first centuries. The liturgy follows a fixed outline with portions that change with the day and the season of the church year. Most of the liturgies used in the Episcopal church are contained in the Book of Common Prayer. White or gold: Christmas, Easter, other feasts (except those of martyrs), marriages and funerals. Purple: Advent (sometimes blue), Lent. The canons of the Episcopal Church provide that all baptized persons “who shall for one year next preceding have celebrated and kept the Lord’s Day, commonly called Sunday, by regular participation in the public worship of the Church, by hearing the Word of God read and taught, and by other acts of devotion and works of charity, using all godly and sober conversation, unless for good cause prevented, are members of this church in good standing.” Members 18 or over can vote in the Annual Meeting. A mission is a congregation that is not (yet) fully self-supporting. If there is a priest in charge of a mission, he or she is called a vicar and is appointed by the bishop. The “pointed” headdress traditionally worn by a bishop. A worship service done in the morning. It consists of Bible readings, psalms, canticles, and prayers, including suffrages. Morning prayer can stand alone as a service or it can be a preface to communion. Many Episcopalians remember a time when Morning Prayer was the primary service on most Sundays. These days it’s a little less common but still a beautiful and meaningful service. To see, listen to, or read along with complete Morning Prayer services for any day of the year, click here. Choose one of the calendars shown and click on the little sun icon for the day. An entry room or hallway leading to the worship space or other spaces. St. Stephen’s narthex is the small entryway inside the Eagle Street entrance to the nave. The part of a church where the congregation sits. From the Latin navis, meaning ship. Look up. Can you see that the roof looks like the inside of a ship turned upside down? The word Pentecost refers the Sunday celebrating the coming of the Holy Spirit to the disciples. It is also the season lasting from Pentecost Sunday to Advent. It is the longest season of the church year, covering most of `summer and fall. The liturgical color for Pentecost Sunday is red, the color of the presence of the Holy Spirit. The color for the season after Pentecost Sunday is green, the color of growth. Episcopal priests function much as ministers or pastors function in other denominations. In fact, priests are both ministers (officiating and helping in worship, serving others) and pastors (overseeing a congregation). A person becomes a priest by being ordained for life by a bishop, usually after training at a theological college or seminary. In Episcopal churches, priests may be male or female and may marry. Unlike deacons, they can absolve, bless, and consecrate. A congregation that is self-supporting, as opposed to a mission. A parish’s priest, called a rector, is called by the parish vestry. A parishioner is a person who belongs to a parish. A translation of the book of Psalms for easier reading or singing aloud, found in the BCP on pages 584–808. The psalter is used in services and also suitable for individual meditation. A rite whereby persons who have been confirmed by a bishop in apostolic succession—Roman, Orthodox, or Lutheran–are brought into the Episcopal Church. Confirmation and Reception are often done as part of the same ceremony. The priest in charge of a fully self-supporting parish. A rector is called by the parish vestry with the approval of the bishop. St. Stephen’s is currently in the process of seeking a new rector. We have called the Rev. Mary Slenski to be our interim rector during this transition period. Rituals defined as “outward and visible signs of inward and spiritual grace, given by Christ as sure and certain means by which we receive that grace” (BCP, p. 857). 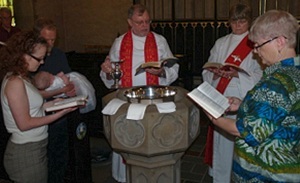 The Episcopal Church recognizes two major (or “gospel”) sacraments: Baptism and Holy Communion. It also recognizes five lesser—but still important sacramental rites: Confirmation (adult affirmation of baptismal vow), Reconciliation (private confession), Marriage (Holy Matrimony), Ordination (of a deacon, priest, or bishop), and Anointing the Sick (unction). 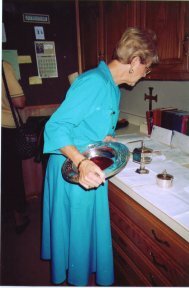 A sacristy is a room for keeping vestments, sacred vessels, and other items for worship. It’s the place where the clergy vests (puts on vestments. At St. Stephen’s the sacristy is located through a door to the south of the sanctuary. A person who is in charge of the sacristy and cares for its contents is called a sacristan. The portion of a church immediately around the altar. Also used to refer to the whole interior of the church. A long band worn around the neck by bishops and priests and over the left shoulder by deacons. It usually matches the altar hangings, and its color reflects the season of the church year. A short intercessory prayer, usually spoken in a series and often prayed responsively between worship leader and congregation. The leader’s part is called the “versicle” and the congregation’s part the “response.” An example of this from Morning Prayer, Rite II, is found on pages 97–98 in the BCP. A white tunic with wide sleeves that can be knee length, full length, or shorter, typically worn over a cassock. A waist-length surpice is called a cotta. Acronymn for The Episcopal Church. St. Stephen’s is an TEC church. A thurible is a metal censer suspended from chains in which incense is burned during some services. The person who carries the thurible (and usually swings it!) is called a thurifer. At St. Stephens, we use incense for some special services such Christmas Eve and Easter. One of the “arms” in a cruciform (cross-shaped) church like St. Stephen’s. In our church the two transepts are marked by large windows, and the choir sits in the north transept. There is a door in the south transept leading toward the great hall. One of the articles of the ceremonial attire worn by clergy and assistants. Vestments you will see in a typical St. Stephen’s service include cassocks, surplices and cottas, stoles, albs, and chasubles. When the bishop visits, you may see a miter and cope. The vestry is to a parish something like a board of directors is to a company. The rector fills a role similar to that of a company’s board chair and chief executive officer. Wardens are the chief lay officers. Click here and here for more information about what a vestry does and to get acquainted with our vestry. Wardens are the chief lay officers of a congregation. The senior warden and junior warden are elected members of the vestry and, according to St. Stephen’s bylaws, are appointed by the rector. Click here for more about the wardens’ duties.